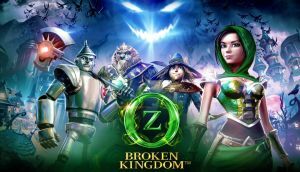 This action RPG has you taking a classic Characters from 'The Wizard of Oz' or Ophelia Shen, a brave new heroine and using them to save the Land of Oz from the Great Darkness that has cast its shadow across the peaceful kingdom. Your quest is to stop this rising evil and restore the balance of magic. No discussions open for Oz: Broken Kingdom at the moment.